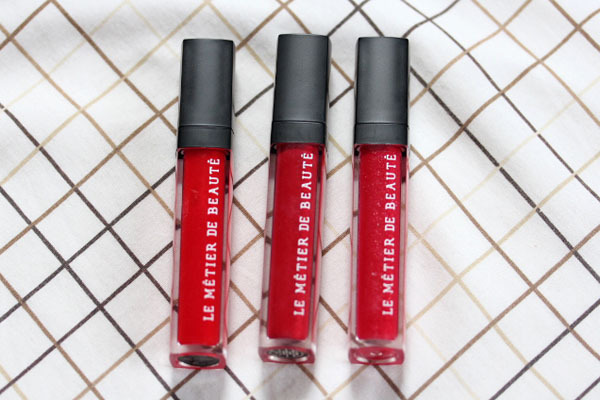 While I've been covering corals a fair amount recently (see Chanel Calypso and LMdB Riviera), I haven't seen anything quite as bright as Le Métier de Beauté Coral Confection Sheer Brilliance Lip Gloss among the new releases. When applied, Coral Confection is blindingly bright. 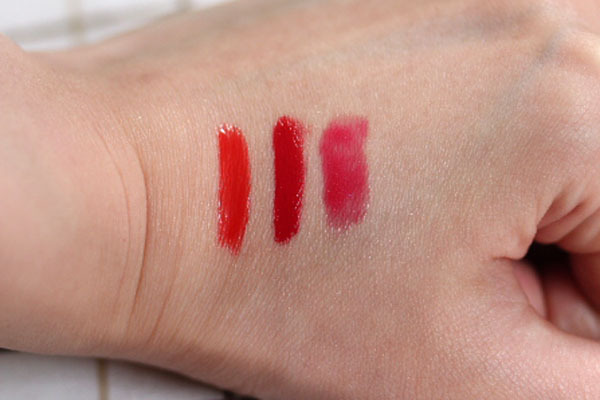 Even though it features the Sheer Brilliance Lip Gloss formula (less creamy compared to Lip Crème formula), which sometimes swatches pigmented and ends up sheer on the lips, make no mistake – Coral Confection will show up. When the gloss dries down, it becomes a lovely stain that lasts forever on the lips (seven hours in, the pigment was still there), which I actually prefer. The stain is a flattering muted coral shade. 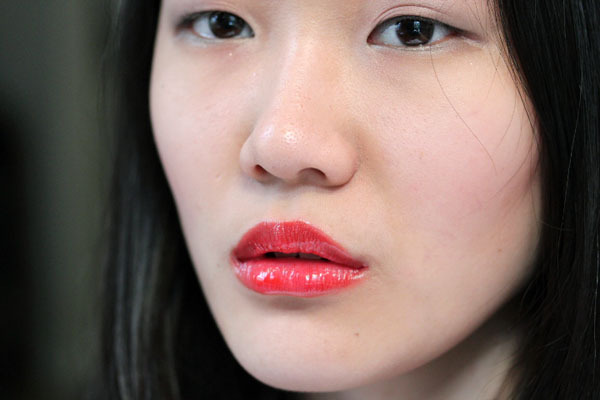 Do note that Coral Confection does bleed a little so I highly recommend lining/concealing around the lip area when wearing it. 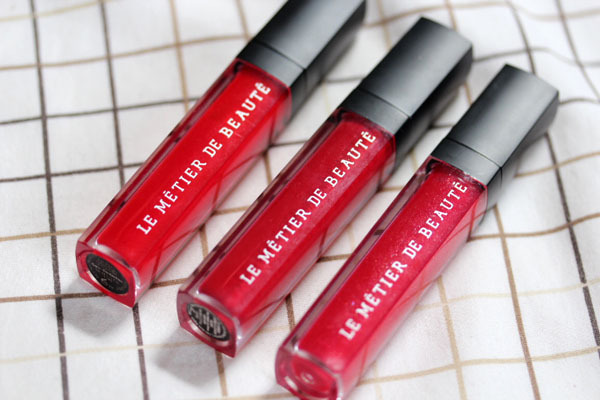 It's an extra step, but the color, comfort of the formula, and general happiness this gloss gives me makes it well worth it. 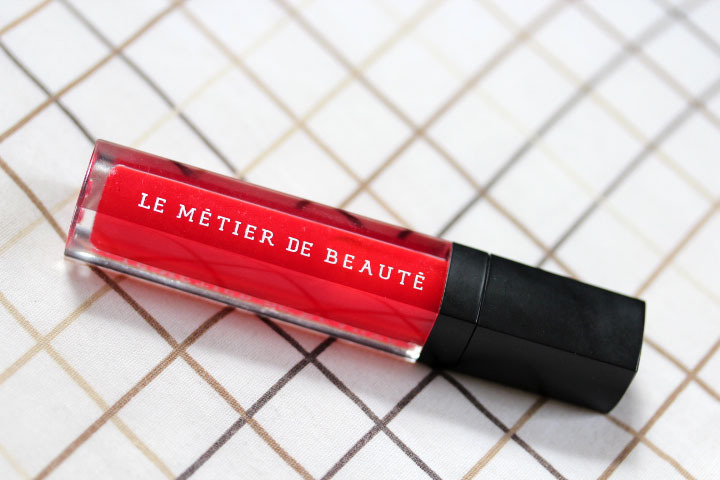 Le Métier de Beauté Coral Confection Sheer Brilliance Lip Gloss (most probably $32) should reach stores later this month. Gorgeous as usual, Wandz! It's on the red end of the spectrum, but so beautiful! OH god I need this. Like need. I'm going to be stalking LMDB until it's available! Coral confection looks stunning. I want this, no... I think I need this! OMG Cheekz!! This one is stunning! It's so bright! I really don't like coral, yes, I am one of the few but...this looks so amazingly glossy that I'm tempted to get one too. You have marvellous skin on these pictures. Very glowy, very porcelain. 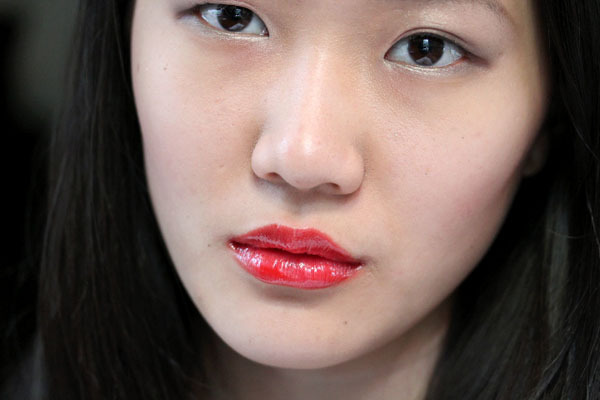 This is another brilliant look for you – neutral face, bold lip. Messy Wands Blog Sale Now Live!